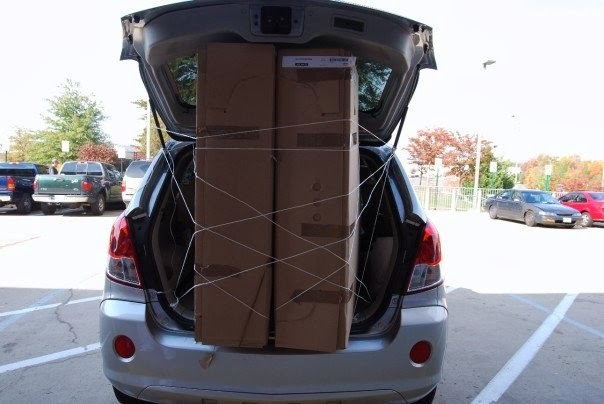 I was looking something up on Facebook this morning and found this photo of when we first bought my round bed at IKEA back in 2007. It was pretty much the only piece of furniture I had when I lived in DC. Over the years we have moved it several times including around Tucson, which usually meant taking two trips. 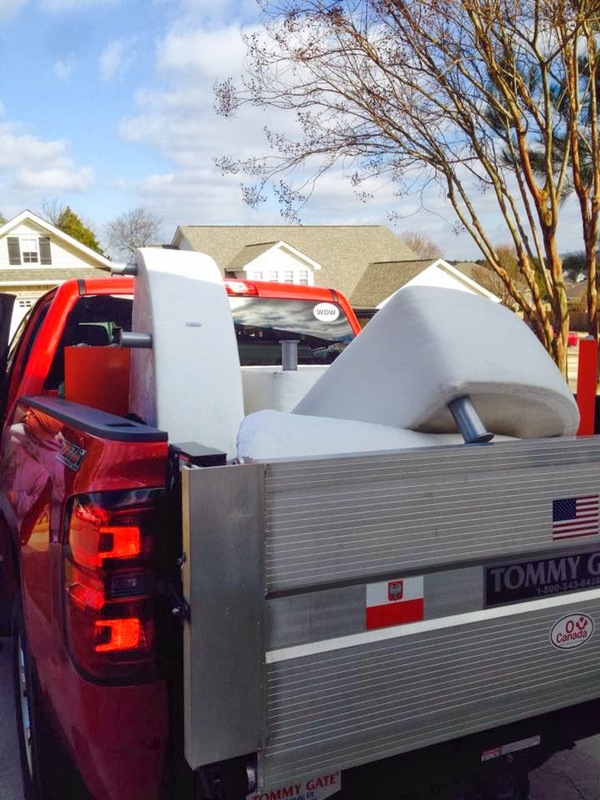 Last month we moved it from our main house to the lake house we rented for this year and it was much easier to move in the truck. Thought it was interesting to compare the first move with the latest move picture. Tonight we have more snow. Yesterday's melted by evening, but now we already have the same if not more. I decided to take some more photos. 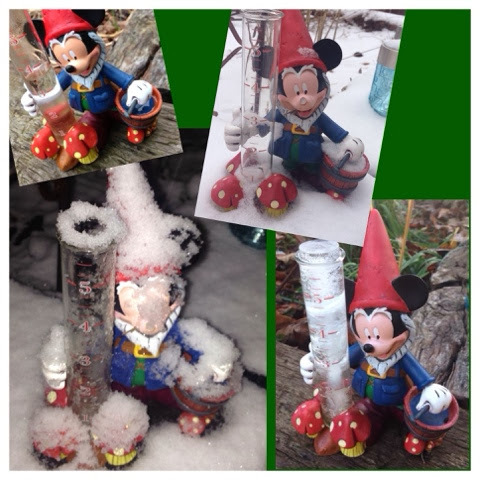 I took one of the Mickey rain gauge yesterday morning and when taking another tonight I was reminded of the frozen one I took of it back on Thanksgiving. I thought it made an interesting collage combining those with one of just rain I took of it the first week we had it last March. Kind of a look back at how precipitation has gone from something we didn't see much when we lived in AZ just over a year ago and the abundance of it we get now in AL to the point I have been totally over it (the rain, the snow is still a novelty!). Today marks one year since our stuff was delivered to our new home in Alabama. I thought it would be interesting to compare my room now to the panorama I took of it the night our stuff was moved in. My room certainly has changed a lot and actually for the most part is new clutter. I wish I had one of Dad's office to compare one year later because it's more still in boxes than unpacked. I guess the MAY part of my prediction last April was a NOT going to be unpacked after a year in the house, but actually we did sort out the attic or at least we do know what's up there and it all makes sense to be there. Today also marks the first time we have a decent covering of snow. I thought it was funny to see our Kokopelli yard ornament reminders of Arizona covered in snow. Here's to hoping that in one more year we'll have everything unpacked/sorted out as any longer than that than maybe it doesn't need to be unpacked. This has never been what we would consider a long term home. It certainly has been the right place for the past year, but after seriously thinking that on the river in Alabama could be our long term home we've come back around to DC is where at least Mik and I will always want to be and we're saving and planning for 2016.